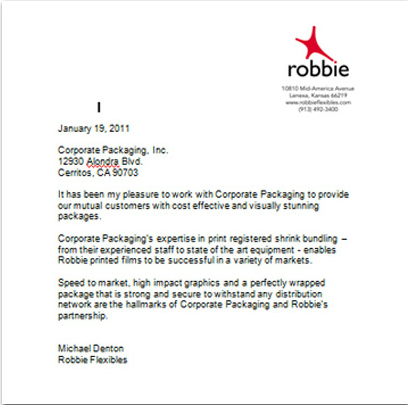 admin | Corporate Packaging Inc. Shrink wrapping keeps your products clean, crisp, and provides tamper resistance. Another benefit of shrink-wrapping is that it can accommodate just about any size or shape or package. Shrink wrap is typically less expensive than cardboard or corrugated packaging, shrink-wrapping can be used to unite, protect, and seal variety packs, club value packs, gift packs, promotions for new products, and special offers or bonus packs. Bundle wrapping, also known as bulls-eye packaging, is one of our most popular types of shrink-wrapping. The equipment and materials used in this packaging is different than a full shrink-wrap without bulls-eyes. Bundle wrapping is used more often for heaver packages. The film is stronger and less expensive than using a full shrink wrap without bulls- eyes. Printed films help your product stand out on the shelves or on pallet displays. It is possible that the shrink wrap design could be the advertising billboard for your product on the shelves. Whether you desire printed films with black and white logos or even four-color high impact graphics, our production department can work with your business help to make your vision a reality. Clear film might be a economical option on smaller runs. Many times colorful trays are added for better shelf awareness. To provide a clean look, we can create your shrink wrapped package with a tray for added stability on a pallet or unsupported without any tray or corrugate. This results in less waste and more eco-friendly and sustainable packaging. With our high speed fully automatic shrink wrapping machines, Corporate Packaging, Inc. can help you with all of your packaging requirements. 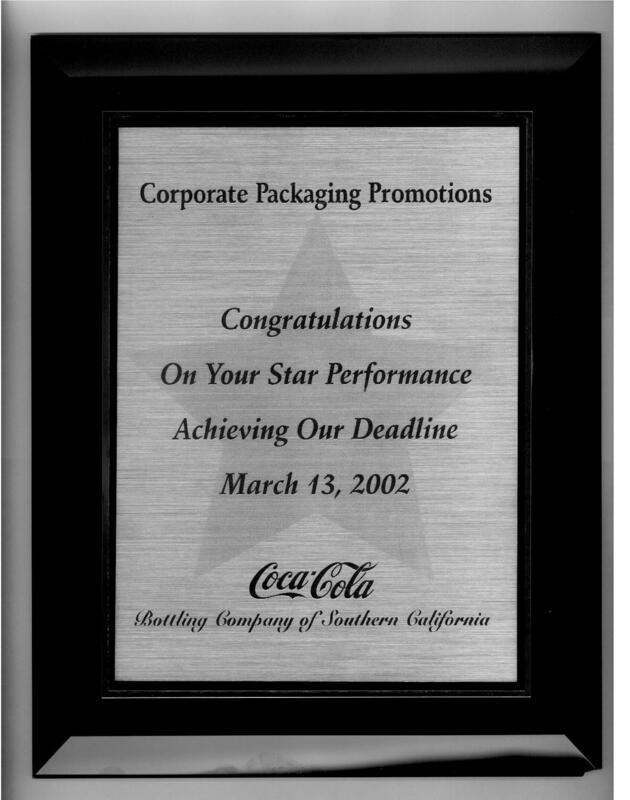 For a commitment to service that is focused on you, the customer, contact Corporate Packaging, Inc. today for a free quote on all of your product packaging needs.714-522-2333. Numerous companies have successfully increased sales by giving their customers an option in the size package they offer. Corporate Packaging, Inc. can help your business create multiple package sizes and configuration without the cash outlay for new production lines. Our various equipment and multi production lines give you many options. Corporate Packaging, Inc’s dependability and experience over the past 25 years in producing quality, high-volume packaging insures you will meet all of your orders with a quality package. Some popular ways Corporate Packaging Inc. can help your consumer to try different types of your products are noted below. Chip board and Corrugated Cartons – Can be used to unite, protect, and seal variety packs, club value packs and promotions for new products. This fully enclosed package helps reduce security risk of shipments and package pilferage. Shrink-wrapping can accommodate just about any size or shape or package. Shrink wrap is typically less expensive than cardboard or corrugated packaging, shrink-wrapping can be used to unite, protect, and seal variety packs, club value packs, gift packs, promotions for new products, and special offers or bonus packs. Printed films help your product stand out on the shelves or on pallet displays. It is possible that the bundle wrap design would be the advertising billboard for your product on the shelves. Whether you desire printed films with black and white logos or even four-color high impact graphics, our production department can work with your business help to make your vision a reality. Clear films are more economical option for small production runs. Many times colorful trays are added for better shelf awareness. To provide a clean look, we can create your shrink wrapped package with a tray for added stability on a pallet or unsupported without any tray or corrugate. This results in less waste and more eco-friendly and sustainable packaging. With our high-speed fully automatic shrink-wrapping machines, Corporate Packaging, Inc. can help you with all of your packaging requirements. Pallet Displays – Are delivered to a retailer in a ready to sell merchandise unit. This easy to shop unit is a good way to bring attention to your product. For a commitment to service that is focused on you, the customer, Contact Corporate Packaging, Inc. today for a quote on all of your product packaging needs. 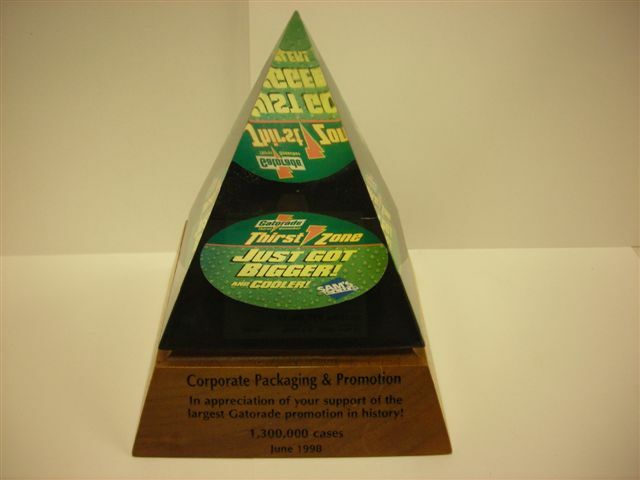 Custom packaging is the one of the fastest ways to large volume orders. You can customize your product by repackaging it into variety packs and multi packs or just reconfiguring it into 2,3,4, 6, 12, 18, 24, or 36 packs. The important fact is to understand that packaging is not static it evolves and changes with consumer needs and demands. What worked in the past might not work tomorrow. You need to be flexible, innovative and creative in your thinking. One of the biggest obstacles in doing this is that the cash outlay to set up high speed production lines to try new configurations to your product. The cost can prohibit your from staying completive. Hiring a contract packager will allow you the flexibility and cost savings to grow your business and keep up in a fast changing market. Numerous companies have successfully increased sales by giving their customers an option in the package size of their product. Many mix a variety of flavors to add value. Operational challenges with onsite packaging consistently convince companies to partner with a contract packager. When considering how to increase sales, Corporate Packaging, Inc. can help your business create multiple package sizes and configuration without the cash outlay for new production lines. Our various equipment and multi production lines give you many options. Corporate Packaging, Inc.’s dependability and experience over the past 20 years in producing quality, high-volume packaging insures you will meet all of your orders with a quality package. Corporate Packaging Inc. is a woman owned company that is committed to to providing clean and safe products. Operations are continually inspected and reviewed internally using good manufacturing practices (GMP) . In addition Corporate Packaging Inc. is inspected and scored by AIB. 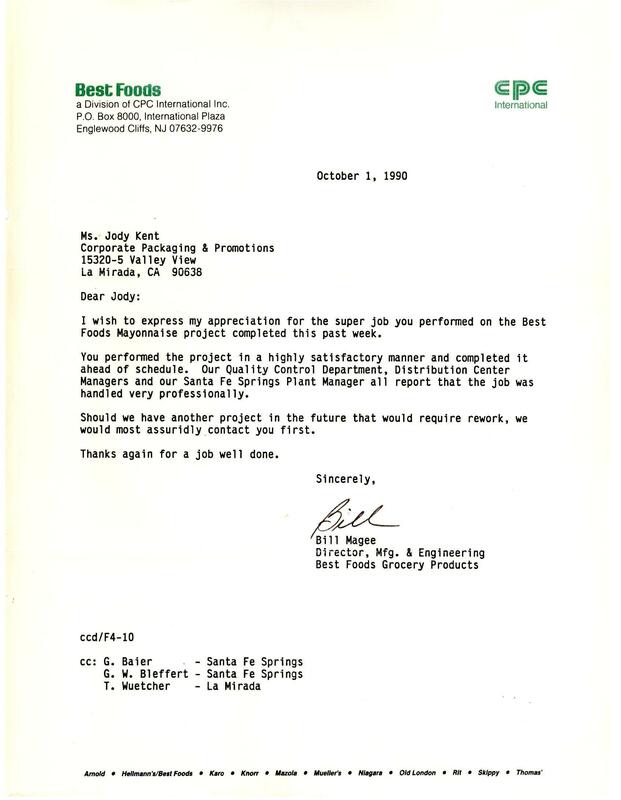 This Good Manufacturing Practice inspection, is based on a widely-recognized set of Consolidated Standards that describe the requirements of a superior food safety program. Maintenance for Food Safety The design, upkeep, and management of equipment, buildings, and grounds to provide a sanitary, efﬁcient, and reliable manufacturing environment. Cleaning Practices- The cleaning and sanitizing of equipment, utensils, and buildings to provide a wholesome and safe processing environment. Adequacy of Prerequisite and Food Safety Programs– The coordination of management support, cross-functional teams, documentation, training, and monitoring systems to ensure all departments of the facility work together effectively to deliver a safe ﬁnal product.